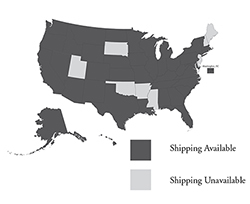 The 2016 Lucia Soberanes Syrah is savory in profile and possesses a deep purple hue. Its aromas are full of baking spice, white pepper, and spring flowers—the whole mixed with blackberry and blueberry. With an underlying earthy core and gentle tannins, the palate unfolds beautifully. We’ve aged this cuvée in barrel sizes that range from 60-132 gallons to coax out added depth. This vintage we added a minimal amount of whole clusters to the fermentation to give the wine a purer and more approachable profile. 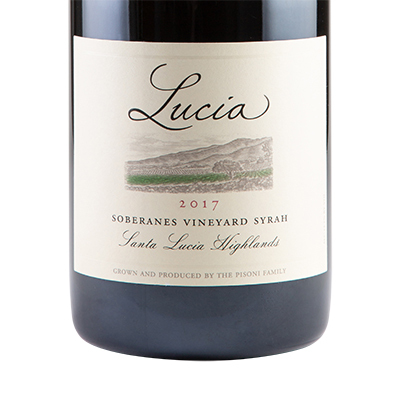 The 2016 Lucia Soberanes Syrah will drink well now or age gracefully for over a decade in the cellar.